The fist time I made dahi vada, was a tragedy, the vadas were so hard that it could have done some serious injury. Over the years I have perfected this snack and has become a much requested item. Soak Urad dal for 6 – 8 hours. Remove excess water and grind to smooth paste. Add ginger and chili while grinding. It should be of dropping consistency. 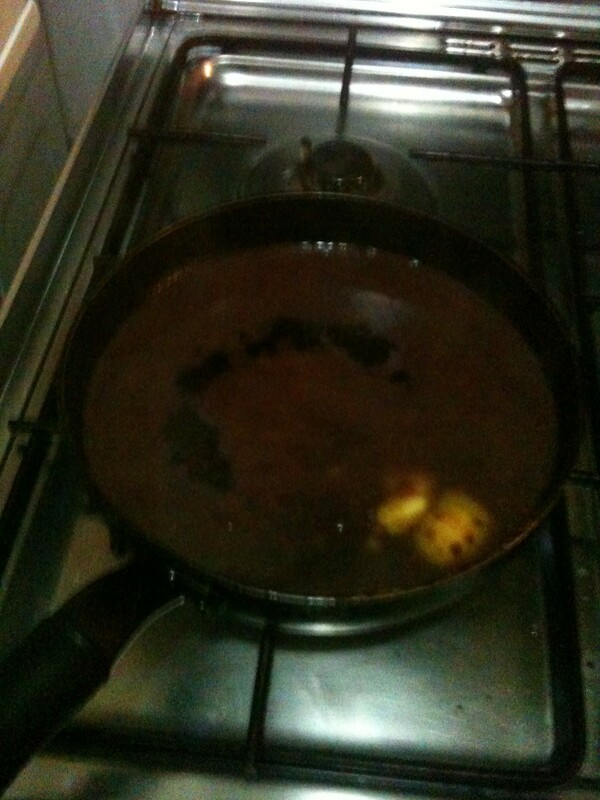 add the soak tamarind, it’s juice and jaggery to pan and gently heat till all is well mixed. You will need a thick liquid so add water if needed. the mixture will be sweet and sour. Heat oil to a medium and drop the vadas in. I can do 4 at a time in my pot. Remove from the oil once golden brown and soak in water. The vadas will float in water and as water seeps in these will becomes heavy and drown to the bottom. Whip sugar and yogurt to a smooth texture. Squeeze excess water from the soaked vadas and add it to the bowl. Add the tamarind juice, salt, pepper powder and chilli powder to taste. Serve and let your guests enjoy. I have had this weird caving where I want to have only Indian vegetarian food. It is weird because I love meat and I thought it would die off in a couple of weeks. This went on for so long that my family refused to boycott home cooked meals. Finally, I caved in and made them a meatloaf. You can imagine the joy on their face. Read below for the recipe. Preheat oven to 200 deg. cel. Add all ingredients except the olive oil and mix. Pat the mixture on a tin to create a shape of a bread and rub with olive oil. Let it bake for 25 – 30 minutes. 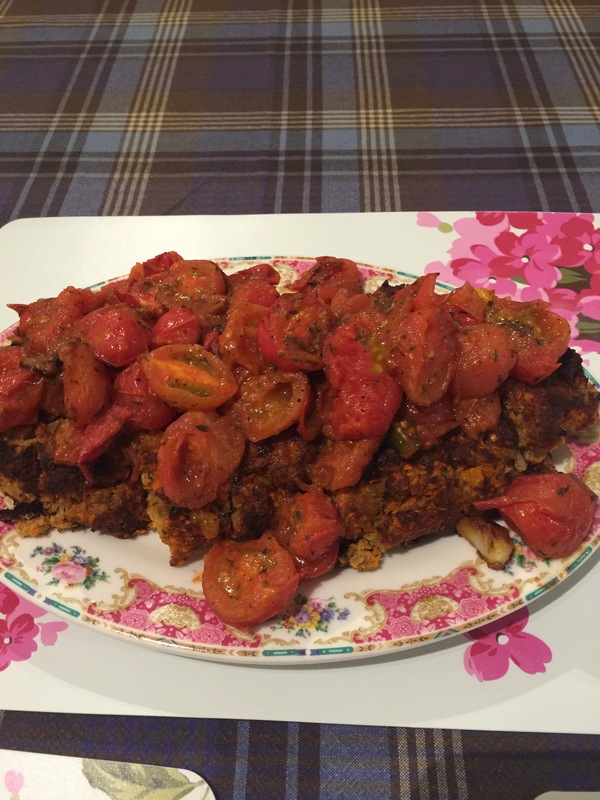 Serve with tomato sauce and baked potatoes. My daughter loves meat and prefers a little sweet marinade. So here is what I made tonight. * although the ingredients list is pretty long the entire thing doesn’t take more than 15 minutes. Heat oil in a pan and add onion, garlic and ginger and sauté till onion in golden. Add the chicken and sauté for a minute then add the peppers. Sauté for another minute. Add the remaining ingredients sauté till chicken is cooked. I have always wanted to make okra salad. However, Indians love okra with loads of spices. The idea of an okra salad was repulsive. So with shaking hands I made this for my honey and ta-da just like that he loved it. Boil water and add okra. Let it cook for 3-4 minutes. Heat a pan and add oil. When the oil is hot add the okra and sauté it for a few minutes – until crispy. In your salad bowl add all the ingredients. Add freshly squeezed lemon juice, balsamic vinegar, salt and pepper to taste. Toss it and serve immediately. 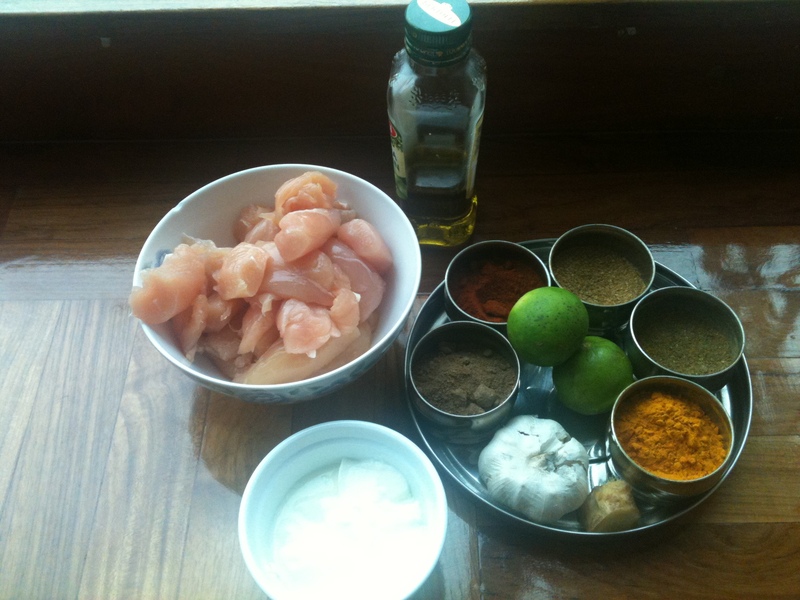 When I started making this recipe for tonight’s dinner, I had no plans of including it in my blog. However, since I have not posted anything for so long I thought it would be a good idea to do so. 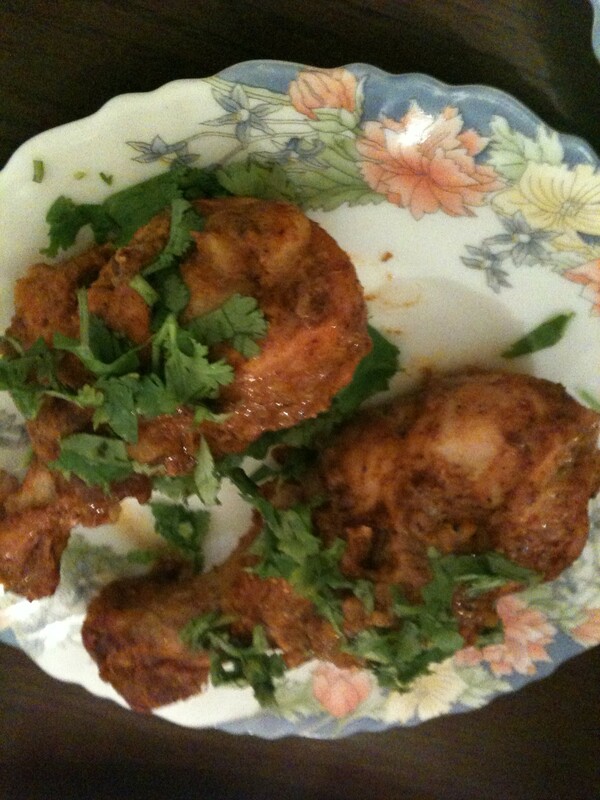 So I have made two versions of this spicy and non spicy. The marinade is the same. All you have to do is add some chilli powder to the spicy ones. Mix all the ingredients other than the chilli powder. 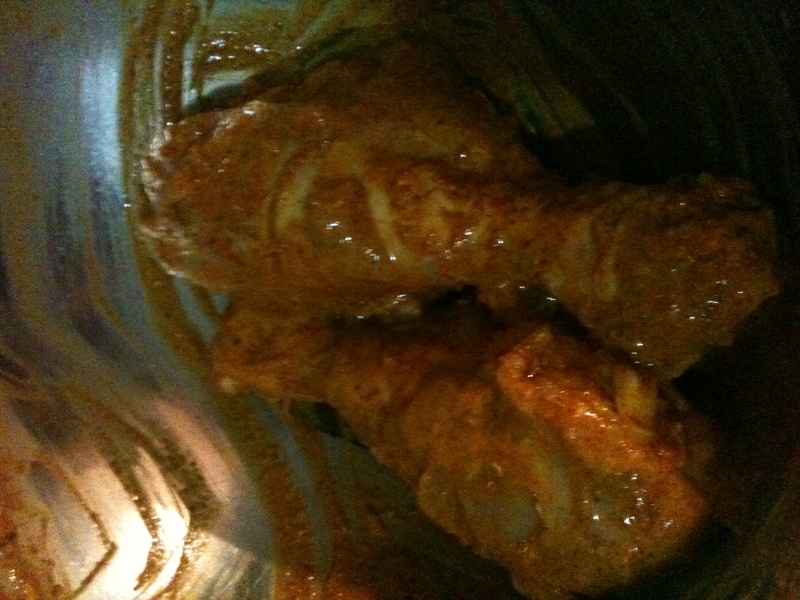 Add the chicken drumsticks and massage the mixture well into the drumsticks. Now separate the chicken drumsticks. 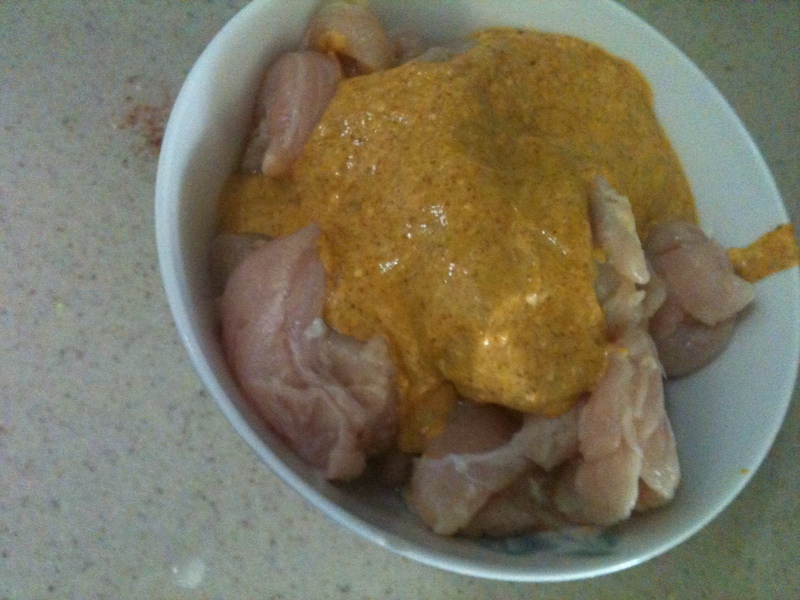 Add the chilli powder to the other set of the drumsticks and massage it well into the pieces. I marinated it for half an hour although overnight would be just fine. Pre-heat an oven to gas mark 6 and place the chicken on the tray. Let it cook for 25 minutes or until done. Sprinkle some mint and coriander leaves along with some lemon juice. Serve it hot. 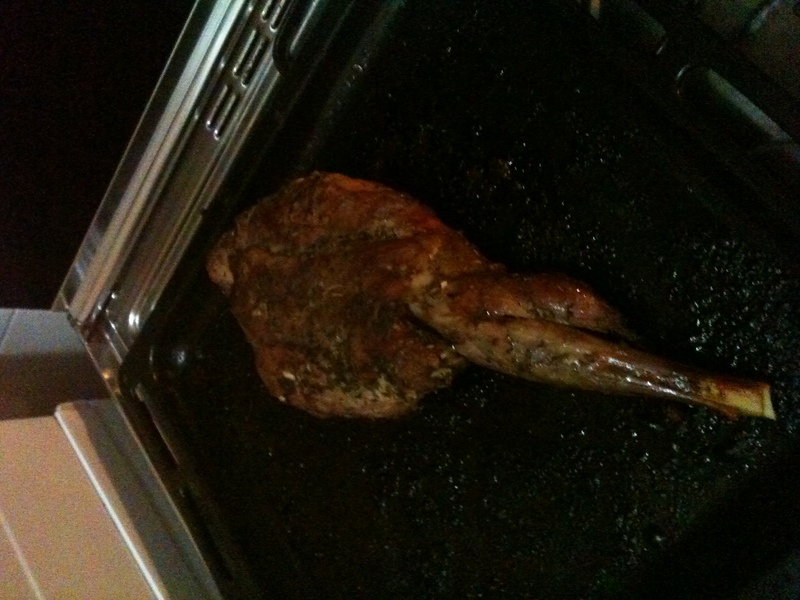 I have always dreaded to have a leg of lamb cooking in my kitchen. First of all, it is quite expensive and if anything goes wrong I would feel guilty for a very long time. But, finally I did it. I asked my dear husband to buy it and promised to make a gala dinner for him. So here is the recipe for you. Massage the leg of lamb well with all these ingredients and seal it in a zip lock bag. Put it in the fridge overnight. Preheat oven to 220 deg cel. 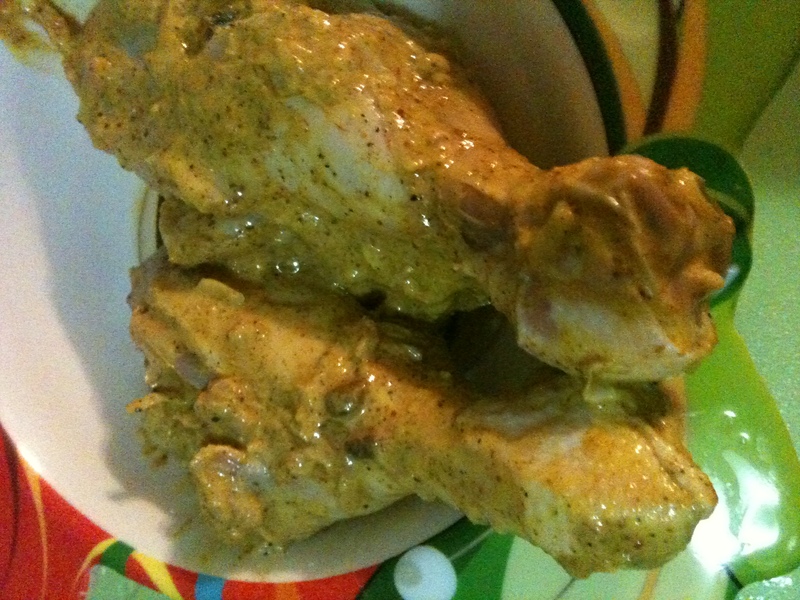 Rub some oil on to the leg and in it goes for a good 35 – 45 min. Take it out and and let it rest for some time. Then carve it and pour some wine sauce over it. Throw all the ingredients other than butter in pan and let it boil till the alcohol content vaporizes. Then add the butter to get a smooth sauce. Strain all the ingredients and it’s ready to serve. I served this dish with potato mash. My husband’s favorite dish. I terribly terribly miss having a helper. But you know what that means. That means I have to get in the kitchen and cook something up with the least effort and keep it healthy. 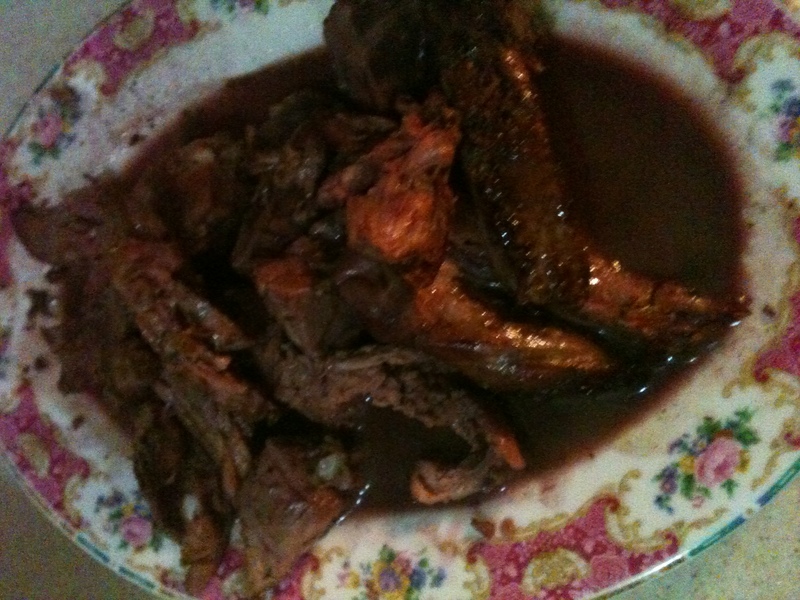 Now I have used red wine in this recipe and I am not sure whether it is healthy or not. But assuming it is here is the recipe. cornstarch and water mixed to make a paste. Brown meat on all sides very nicely. Now throw all the ingredients into a baking bowl. Cover it. Now on a gas mark 3-4 let it cook for upto 2 hours. No more. After it is cooked add the cornstarch paste and let it simmer for 5 minutes. Serve it with a french bread. After leaving me stranded on a weekend my husband is finally back in Hong kong with a bad case of sore throat and cold. And here I have been desperately waiting to talk to him and give him the update on the latest gossip. Lucky for him he is unable to talk and naturally comment on anything. Thats the thing about men though isnt it, they love listening to gossip but act as if thats the last thing they would rather do. The doting wife that I am, I have decided to make his throat get better. 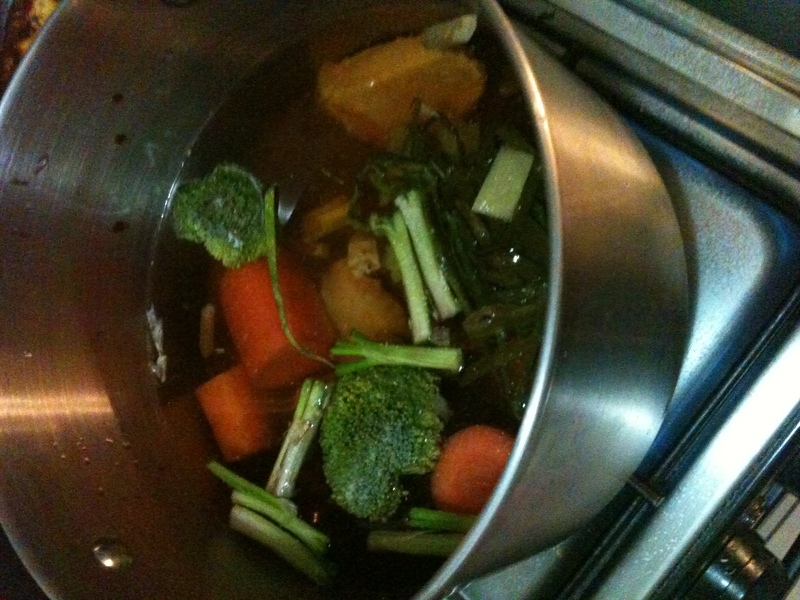 So I am going to fix him my classic chicken soup. 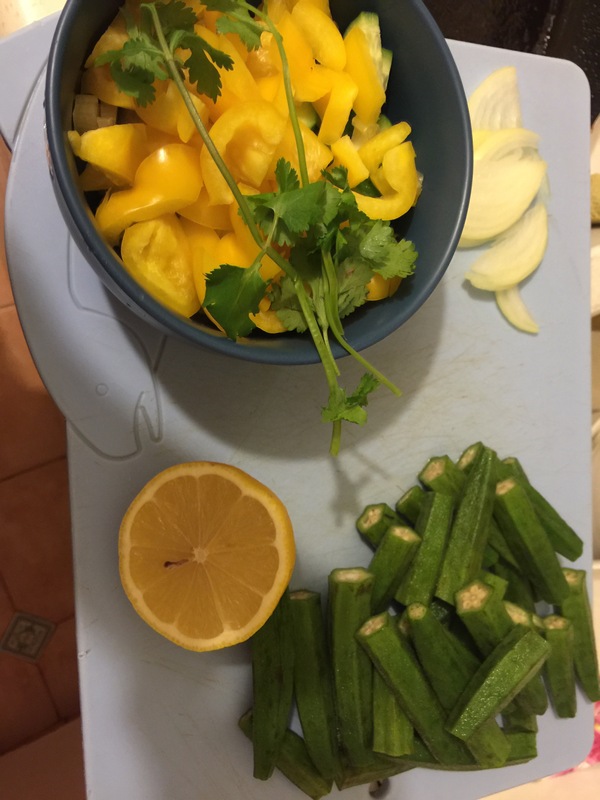 I was inspired to make this soup after I moved to Hong kong and love the way they make soup here. Although mine is not the exact recipe of the street version I believe it is a good soup for the rainy days. Take about a litre and half of water and set it to boil. Add all the ingredients and let it simmer for 30 – 40 minutes. By this time the house will be filled with the soup aroma. Strain the soup and discard everything but the chicken pieces. Debone the chicken toss it back into the soup. You could add some regular egg or rice noodles to make a chicken noodle soup. Finally pour the soup in a bowl and serve it with some TLC. My favorite all time vegetable, is Spinach. I just love its color, texture and taste. 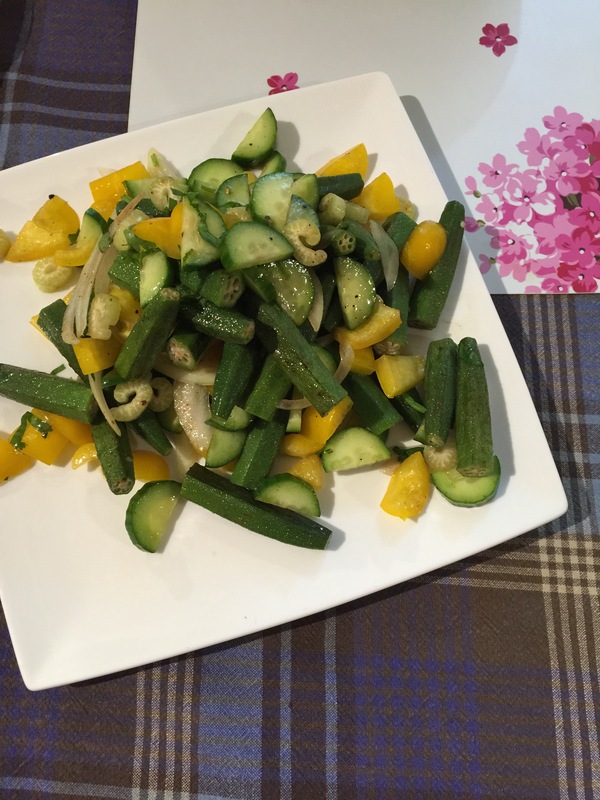 The following recipe is one of the easiest to make, extremely tasty and very healthy. You could have it with a roti or some rice. 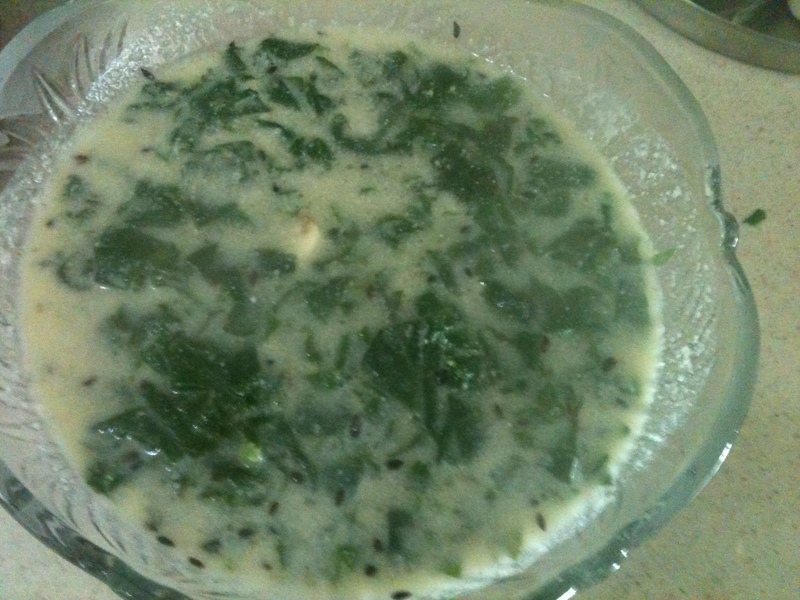 As with most Indian Spinach recipes you will be required to blanch the spinach, of course in hot water and then cut it. On the other side, mix 1/4cup of yogurt with 1 1/2 cup of water and 2 tbsp of gram flour and mix well. Make sure no lumps are formed not for any culinary expertise but because they taste awful. Seriously gram flour lumps while eating this amazing dish. Not such a great idea. 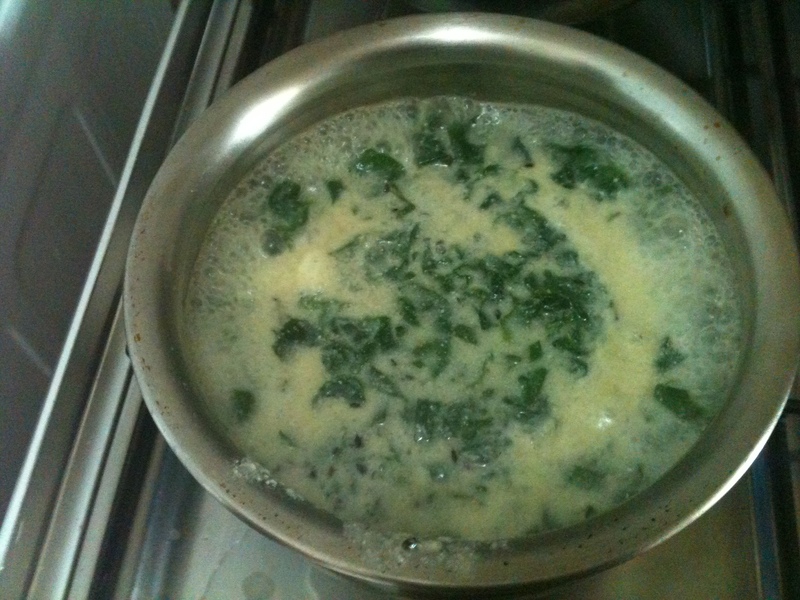 Now mix this with the cooked spinach. In a pan take 1 tsp of olive oil and add some cumin seeds and garlic. 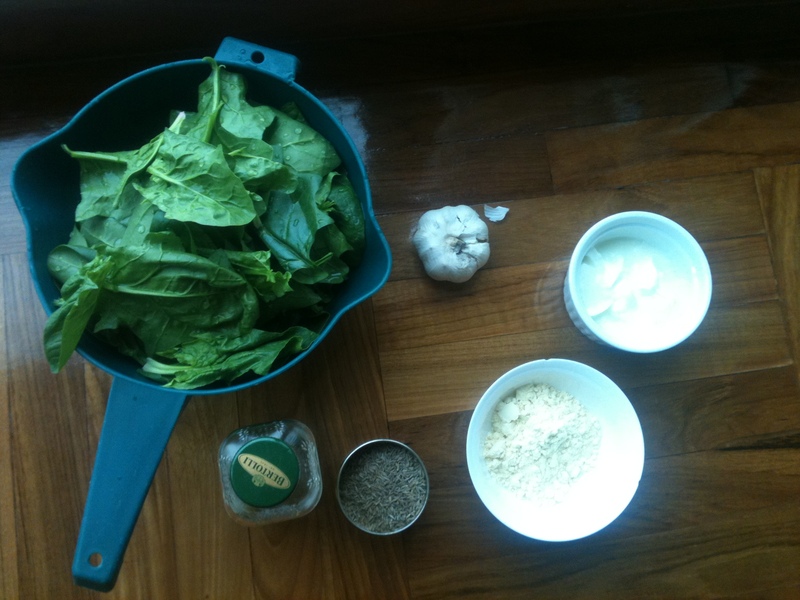 Once the garlic starts to brown add the spinach and salt to your taste. Let it cook for about 1-2 minutes and its ready. Now was that fast or was that fast. Enjoy it without the feeling of guilt. I was using the weight watchers approach for quite sometime and it brought me success. The problem with that is, you have to use portion control. If I had that kind of control on my food habits I would not be at weight watchers. If I am allowed to eat everything that is tasty, chances are I am going to slip. And if you are wondering I did slip. I went right up to 70 kg and then I got onto the ‘excuse’ bandwagon and climbed back up to 78 kg. So now I am planning to go with the same approach but make a few changes. Nobody eats carbs at night. So if I haven’t cooked em I wont eat em. 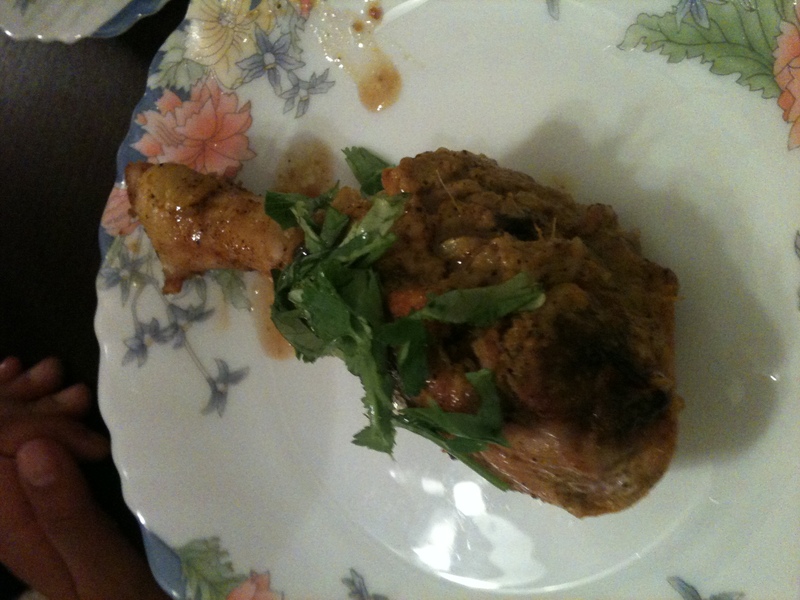 This brings me to the dish of the day ‘Chicken kebab’. You could most easily substitute the chicken and use prawns, salmon or cottage cheese. You could also use all of these and present it as a Kebab platter for one of your parties. Once you have washed the chicken pieces add the lemon juice and leave the chicken in it for 15 minutes. Wash the chicken and add all the other ingredients to the chicken and let it marinate for at least 20 min but a couple of hours or overnight would do no harm either.Preheat the oven to 200 degrees. Sprinkle some oil on the chicken, remember not generously, we are trying to lose weight here and put them on the skewers and set it in the oven for about 20 minutes. Turn them once after 10 minutes and your dinner is ready. I am going to have this with a salad tossed in lemon juice and salt. If you still feel hungry there is always the clear vegetable soup to go with it. If you don’t have the recipe you just have to wait for it. Tip for the kitchen idiots: if you are using wooden skewers please soak them in water for 10 minutes.